Bradley Peniston has been named deputy editor of Defense One, announced executive editor Kevin Baron. Prior to joining Defense One, Peniston had been with Defense News for over a decade, and will now manage their editorial staff and oversee the direction of the publication’s news coverage and reporting assignments. 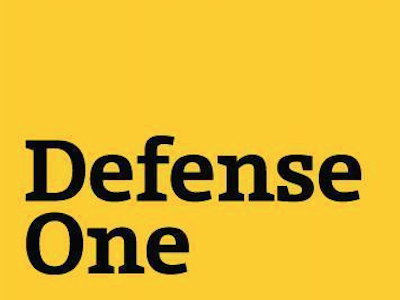 “Executive Editor Kevin Baron announced today that veteran defense and national security journalist Bradley Peniston will join Defense One as deputy editor later this month. The addition comes during a time of growth for the publication. Peniston comes to Defense One after more than a decade at Defense News, where as managing editor for product development, he helped oversee the relaunch of its website, mobile apps, and custom print publications. In 2011, while at Defense News, Peniston was named editor of Armed Forces Journal, America’s oldest military-themed publication, founded in 1863. During his tenure, AFJ was named one of the nation’s top-10 small magazines by the American Society of Business Press Editors; it also published an essay that won its author the Ridenhour Prize for Truth-Telling. Before that, in 2000, he helped launch Military.com. As deputy editor of Defense One, Peniston will manage editorial staff and oversee the direction of the publication’s news coverage and reporting assignments. He will work closely with Baron to guide commentary and analysis on the site, and to develop and execute on Defense One’s editorial calendar. The addition of Peniston to the Defense One editorial team rounds out six months of powerful new hires for the publication, including Senior Military Reporter Gordon Lubold and Global Business Reporter Marcus Weisgerber, both of whom joined last fall.